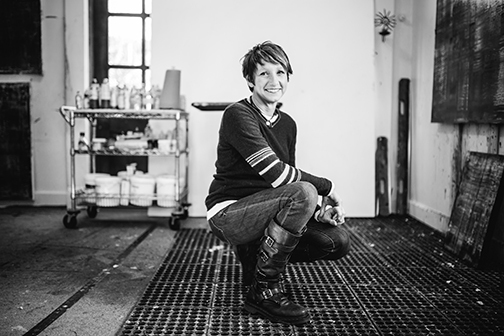 East Nashville-based painter Toni Swarthout goes back and forth between lush abstracts and print-like paintings of trees. This winter she’s exhibiting both types of work in the name of the American Heart Association’s Go Red For Women campaign to raise awareness of women’s heart health. Swarthout likes to support causes with her work, and she has a personal connection to this one: her mother died of a heart attack. 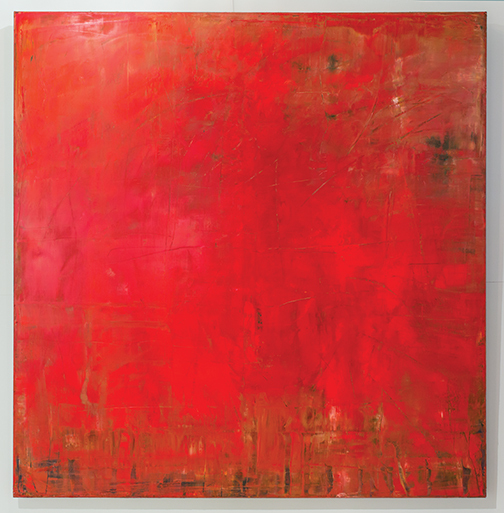 With that in mind, Swarthout approached Gallery One owner Tammy Parmentier about mounting a benefit exhibition called Red, with 25 percent of the sales to be donated to the American Heart Association. Red happens to be a color Swarthout enjoys incorporating into her paintings, and many of the paintings in the show will feature the color. “Red is my initial color. I love it, and I’ve always been comfortable with it, but it took me a little while to get past the red and start doing other colors,” she said. The showpiece of the exhibition is Mon Cheri, a 72” x 72” oil-on-canvas abstract with a deliciously smooth surface of red, orange, and white pigment. 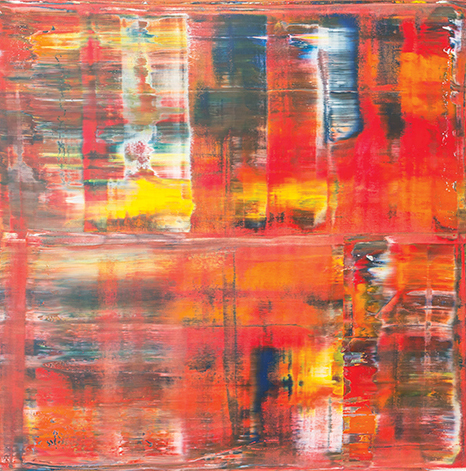 Swarthout achieves maximum coverage and a range of textures by using a tool she devised herself (though she admits a debt to Gerhard Richter). Love Letter (48” x 40”) is another intensely colored abstract. Here yellow and deep blue mix with red in wide streaks of movement across the top half of the canvas. The bottom half appears like a looser rendering of this pattern, as though reflected in water. “As I start moving the paint around, [the colors] start interacting with each other, and each piece kind of decides where it wants to go,” Swarthout said. She usually restricts herself to three colors and has learned to let the paintings develop in their own way. “After I start it, I kind of just let it guide me, and it just goes through that process on its own,” she said. 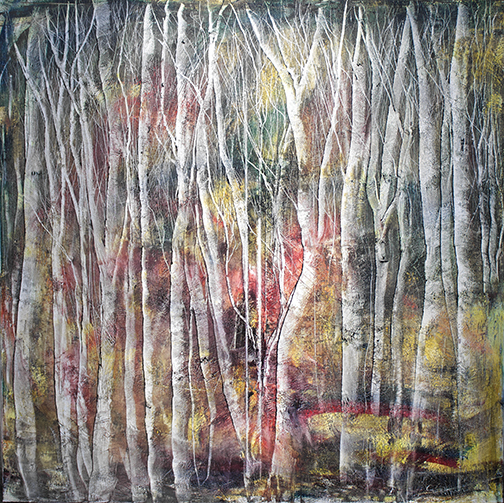 She takes a somewhat different approach to her tree paintings: “I love my abstracts. I love my trees, too. It’s kind of like it’s two different children of mine.” There is a soothing quality to the tree paintings with their repeated shapes, some surprisingly uniform, and generally muted backgrounds. 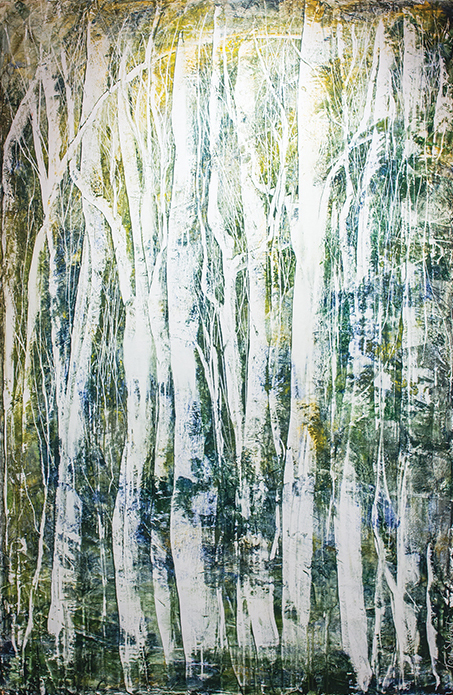 Many of these paintings are like stands of winter-barren trees, the vertical Sun Kissed (60” x 40”) with its blue-green layers, for example. Others have darker, richer backdrops. The tree paintings are done quickly, with a water bottle handy to keep the surface wet. Swarthout starts by applying a layer of white paint, then returns a day or two later to add layers of color. Using a palette knife, she scrapes away paint to create the tree trunks. These paintings come in tall verticals, long horizontals, and now large, square paintings. Swarthout recently completed Looking Glass. At 72” by 72” it is so far the largest tree painting she’s done. A technique borrowed from her abstract work allowed her to go large: She applied the layers with her squeegee tool. 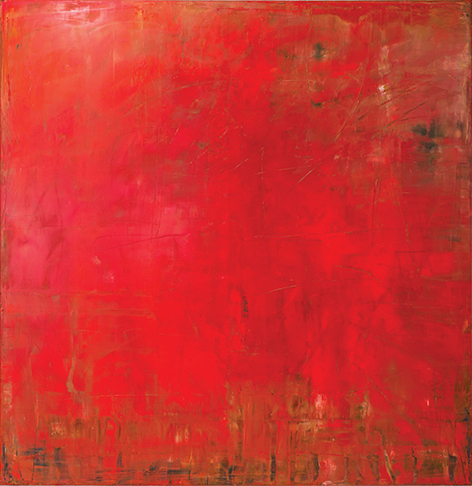 Swarthout’s exhibit Red opens at Gallery One on February 1 with 25 percent of sales donated to the American Heart Association. www.galleryonellc.com.